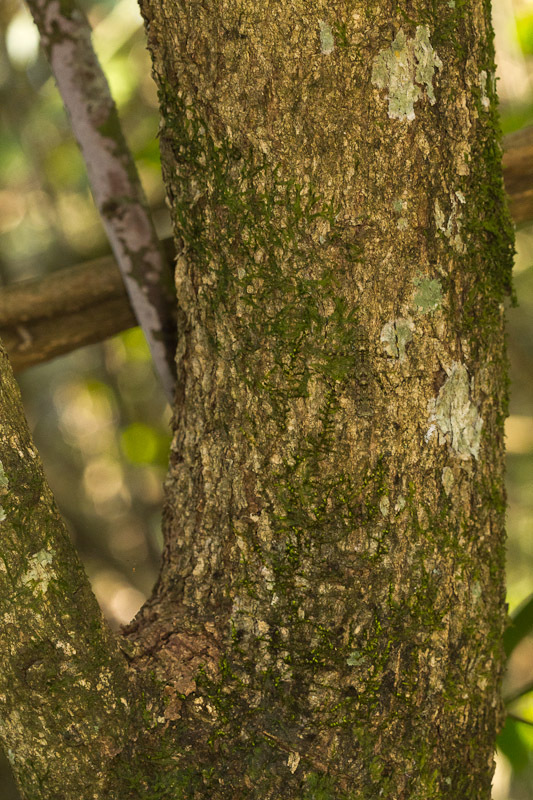 Can you spot the camouflaged critter in this image? Wow. I can see some long, stripy legs. I guess I could go with some kind of cricket. Another good guess. I photographed some of those in Panama once, but I’ve yet to encounter them in Brazil. I think I see it…is it a grasshopper or cricket? Nope, but you’re not the first fooled into thinking that. Well, I’ve seen three guesses so far. While I think everyone probably sees the critter, no one has yet guessed the correct order (which is all I was hoping for). I see the critter, but I can’t tell whether it is facing head up or head down. I’ll take a stab and say Mantodea based on the length of the legs. You guessed it, and it’s head down. Is that a Mantidea heads downward?